We caught up with Harper Duquaine, the heroine of the Queen of the League series, shortly after she volunteered to join her co-workers' fantasy football series. 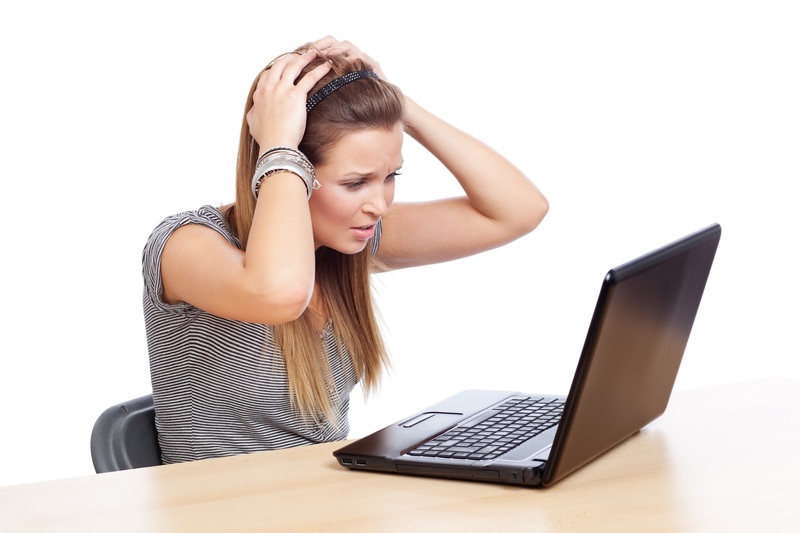 Having just participated in her first draft, she was understandably flustered and distracted. We appreciate her taking a few moments from her busy line-up setting to answer some questions for us. Change the Word: Harper, thank you for being here. Harper Duquaine: Yeah, sure. No problem. CTW: Let's get right into it. What exactly were you thinking when you decided to join this fantasy football league? HD: I probably wasn't thinking as well as I should have. But I was kind of in a daze. I'd just left a one-on-one with my new boss at the car dealership. It was like being called to the principal's office for a chewing out. And I've never been called to the principal's office. I wasn't that kind of student. Anderson told me I was intimidating my co-workers, which is ridiculous. If they can't handle doing their jobs, they shouldn't take it out on me. But since it's my problem right now, I had to do something to make nice with them. They needed an extra person for their league and the girl at the front desk wasn't buying what they were selling. Which isn't very good, now that I think about it. They're car salesmen. If they can't sell someone they know on joining their football league, how are they supposed to get total strangers to buy a luxury vehicle? I hope we hit our sales quota. CTW: So you joined the league? HD: It seemed like the best--and fastest--way to make them see me as a buddy. Again, the whole thing is ridiculous. I'm just trying to do my job. CTW: How do you feel about your chances to win the fantasy football championship? HD: They aren't great. For one, these guys are serious. They've been playing for years, and I have no doubt they'll show me no mercy. Two: I have no idea what I'm doing. Most of the players I drafted might as well be named Kicky McKickerson. For all I know, they can't catch or throw footballs. Oh, God. I hope they can catch and throw footballs. CTW: Who do you think will be your biggest competition? HD: Frankly, they're all probably going to wipe the floors with me. But right now, it seems like my co-worker J.J. Sanchez wants it the most. And then there's their friend, Brook MacLaughlin. He has more titles than anyone else in the league. And he's a football coach. Actually, that doesn't seem very fair. The guy is a professional football person. I'm barely an amateur. CTW: Has he done anything to concern you so far? HD: Besides stealing the quarterback I wanted? I guess not. He's been... friendly. He even offered me some kind of funny advice. And... I don't know. There's something kind of appealing about him. CTW: Do I detect a crush? HD: Of course not! I've sworn off dating. I'm still getting over a nasty break-up. That's why I moved to Lincoln, actually. To turn a leaf. To get away from the drama. I really don't want anymore drama. CTW: Right, well, any final thoughts or takeaways you'd like to share with us? HD: Just... I don't know, pray for me? Send positive vibes my way. I really have no idea what I'm doing and while I don't care about winning the championship, I also don't want to look like a complete idiot in front of co-workers. That would kind of defeat the purpose of trying to get them to respect me. I'll be talking more about my inspiration for the Queen of the League series (particularly the characters, settings, and some borrowed-from-real-life scenes) tomorrow on Facebook Live at 8 p.m. Eastern. 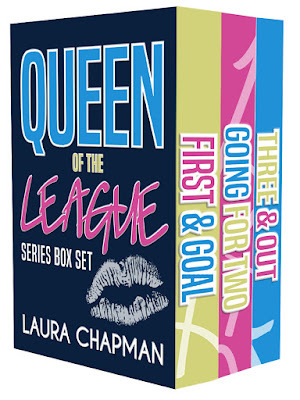 The Queen of the League series is now out in a digital three-box set on Amazon, Apple, Barnes & Noble and Kobo. Visit my website for more information on First & Goal, Going for Two, and Three & Out.